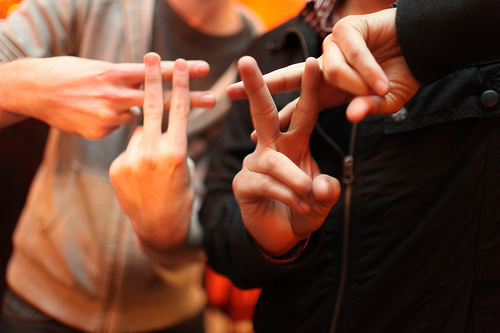 I’ve been hooked on to the concept of a hashtag (#) from the time I’ve been on Twitter. A few may ask, what a hashtag (#) is. The answer is, a hashtag is simply a way for people to search for tweets that have a common topic and to begin a conversation. For example, if you search on #IPL6 (or #Ipl6, because it’s not case-sensitive), you’ll get a list of tweets related to the cricket tournament (Definition Courtesy – Urbandictionary.com). In the past, a lot of my blogger friends and colleagues from the industry have written about how brands are using hashtags to run a contest and engage their audience for a longer period. 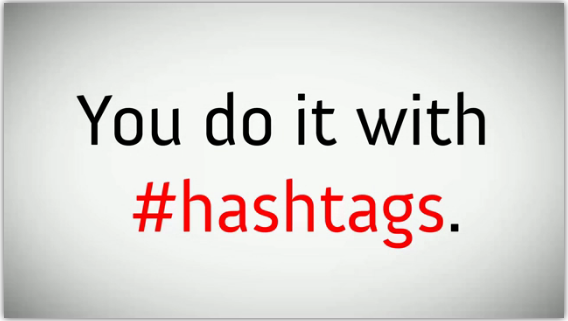 I’m going to share from my personal experience how Indian Brands should use a Hashtag on Twitter. For one of my agency clients, Northpoint Centre of Learning on Twitter, I conceptualized and executed a bunch of Twitter debates with the hashtags – #ADdebate and #MRdebate. The idea was simple to engage a focused group of tweeple on a debatable topic on Twitter. It was quite successful. Even a noted Digital Marketer, Nishad Ramachandran blogged about one of our #MRdebate in which he participated. Been super impressed by @WeareMumbai, India’s first rotational curation account which was reported by us. for a simple reason that the curators who manage the twitter account for that week are the influencers when it comes to the many hashtag’s they create personally and for different Indian brands. Let’s see a few hashtags created by @WeareMumbai which did wonders for Indian brands – #StarbucksMumbai and #YehHainMumbaiContest (Photo Contest). Also, the point that influencer lead hashtags all the way has also been seen how @1ns1a, a true foodie helped @tasteofmumbai (The world’s greatest food and drink festival) reach their target audience via #tasteofmumbai. Good isn’t it? The brands I’ve interacted with in my short yet impactful social media tenure of 4 years have all struggled to present their stories through this popular tool – Hashtag. One of the reasons might be a genuine brand-human connect miss. But having said that, the opportunity still exists and a few people I know can still inspire brands to create their own stories via hashtags. My good friend, Ana Timofei via her Tumblr blog – ‘Emails to the world’ and hashtag – #emailstotheworld shares personal insightful stories with her friends who’re across the globe. Inspiring isn’t it? With the advent of many Indian brands venturing into guerrilla or experiential marketing with the help of their social/advertising/marketing agencies, hashtags make a lot of sense for engagement. I am a big fan of flash mobs but it is disappointing when Indian brands don’t take advantage of unique hashtags for audiences to share, engage and spread the message of the brand on Twitter. Hope this changes soon. 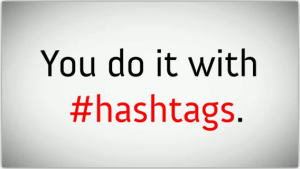 Share with me how you’re using hashtags differently as an agency for a brand or as a brand yourself. PS: These are recommendations from my personal experiences and not the only way Indian Brands should use hashtags on Twitter.